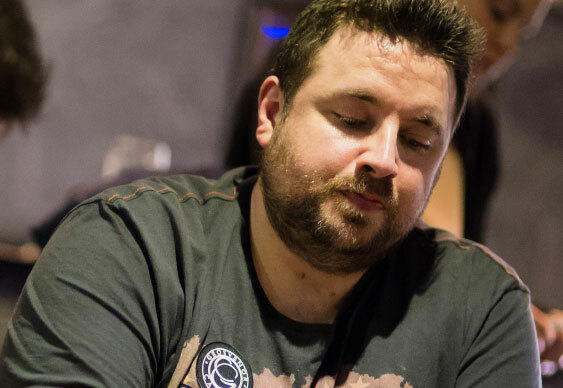 At last year’s Sky Poker UK Poker Championships PLO event, I was faced with the kind of conundrum that leaves you wondering if you did the right thing for months afterwards, whether you win or lose. Six-max events really test your poker mettle, given that you’re in the blinds or on the button at least 50% of the time. I say at least 50%, because a lot of the time you’ll be playing five-handed, or four-handed later on, well before the final table. There were less than a hundred runners at Dusk Till Dawn in Nottingham when I took my seat in anticipation of a tough battle at the poker tables, and the quality of the field was unrivalled, with every decent UK PLO player you can think of in attendance, as well as plenty from further afield. No great achievement is ever easy, however, and I know my six-max game stands up to scrutiny. I was feeling fairly confident. My starting table had two WSOP bracelet winners on it, which is not really what you’re looking for in a £500 event with only four direct opponents. Two seats were taken by online wizards who’d probably played more hands than my other opponents (Lawrence Gosney and Dave ‘Devilfish’ Ulliott) combined. There were no easy spots, and with the chips moving around the table in the early stages, no-one was dominating play. This was until a new player arrived and made us a six. His arrival changed the whole table dynamic and eventually left me in a real quandary. The player who took the spare seat on our table was Norwegian, and he happily told us that he’d never played a PLO comp before, but was giving it a spin as he was in the city for the week and his mates were playing poker too. He sat down with more chips than the rest of our table combined, so I took his statement regarding a lack of experience with a handful of salt. The added information I had that my opponents didn’t was that I’d seen him playing table games in the casino during the most recent tournament break. He wasn’t just trying to spin up twenty quid, either; he had the roulette table to himself and was betting hundreds on every spin. Devilfish had also clocked our new friend and his penchant for punting, and enquired how he was doing. “I’m £10,000 up so far this week, not including poker!” came the Scandinavian reply. The Norwegian newbie’s luck was clearly in, as he despatched Devilfish with some pretty horrific play in an inflated pot on the flop with just a wrap against the Fish’s obvious set, only to receive immediate service. “Now I can tell my friends I badbeated the Devilfish!” he laughed as he stacked his newly-acquired chips, with Devilfish grumbling to himself as he headed for Trickett’s Room. Our new table captain was sat to my immediate left, which usually wouldn’t be ideal, but since he’d sat down he’d played every single hand, generally just saying “pot” when the action got to him. All I needed to do was find a hand I wanted to go all-in with, limp in and let the Norwegian pot it to isolate me. I’d re-pot it and have my chips over the line heads-up with what would undoubtedly be a dominating hand. Having a maniac to your left can actually be advantageous in pot limit games, I reminded myself. Waiting to find that hand took a little patience, but despite falling to half the average stack, I was comfortable and had never been in any danger of being knocked out. I felt like I was ready to be doubled-up through the Norwegian when the following hand occurred. I was in the big blind at 1k/2k, and had a 33k stack (around 16.5 big blinds) behind. First to act, the Norwegian predictably potted, as he had at least the previous three hands. Richard Kellet re-potted to 24k which represented half his stack, so he was never folding. I’d not played PLO with Richard before, but he’s a good player and I knew he’d mark the Norwegian down as having a very wide range. Richard was smart enough to know that three-betting all in with QQ and AKxx type hands were likely to be dominating our table captain. Online tournament pro Billy Chattaway was next to act, and he asked Richard’s stack size. He knew that Richard didn’t have to be super strong to have three-bet committed himself, because of the wide range of the opener. Richard couldn’t pass, but the raiser could, as Billy was sat with more than 120k (60bb+). Eventually, Billy four-bet, re-potting to 81k. Billy should usually have aces here, but because of the dynamic, he could have other hands such as big rundowns (four sequential cards) or pocket kings. The small blind passed and I looked down at 4-5-6-7 with one suit. Because of all the tanking, I’d had plenty of time to think about what each player had, and had almost made my mind up that if I looked down at aces I was all-in (though that would be unlikely as the aces may already be out there) and if not I’ll fold. However, a middling rundown hand was an interesting proposition, given the hands I’d put the others on. If I had to place a bet, I’d say Kellet had a big pair, Billy aces, and I presumed the Norwegian was folding, unless he had aces. Against that range of course my hand plays very well, they have each other’s outs and a quadruple up could be on the cards. I discounted the likelihood of me being up against a dominating hand like 5-6-7-8 and took the gamble. Our erstwhile chip-leader re-potted to set the other two all in and all of a sudden we had four of the five players at the table with the cards on their backs and hundreds of thousands of chips in the middle! Kellett had QQJ9, Billy AKJT and the Norwegian had somehow found a five-bet that was basically a call with the mighty KK83. I loved the way my hand played against these holdings, and was already patting myself on the back for getting a good price for my chips (I later worked out I was around 35%, meaning I was getting better than 3/1 to quadruple up). I even thought I was winning when I saw the K74 flop, but as the Norwegian started shouting, ‘pair the board’ I realised my two pair were no good. By the time I’d realised my up and down straight draw was good, the board had paired, and I’d made a full house that was no good with fours full of sevens. By the time I’d realised I still had an out, the case four to make quads, the dealer had burned and turned. Three of the five players at my table headed for the exit, myself amongst them. With the cards on their back I could justify my play – I got a good price. But is that enough in a PLO tournament? In a cash game, I’d put my money in there in a heartbeat, but in a tournament I can’t help but think this was a gamble too far. After all, I back myself to have an edge in any PLO comp, and especially one with a maniac sat behind a mountain of chips on my table. I may have had 35% equity while only contributing 25% of the chips in the middle, but what that meant was I’d be out of the tournament two thirds of the time. I’ve had a lot of success in PLO tournaments and have generally adhered to the rule ‘tight is right’. There’s always a time and a place to take a gamble and try and accumulate a stack, but maybe just after the bubble, as the final table approaches, is a better time than this. PLO tournaments are an inexact science and you can make a case for playing various hands in a variety of ways. I’ll be back at the felt in this year’s UKPC in a few weeks to try my hand at the PLO tournament once again. One thing is for sure though, you have to still be in the tournament and not stood at the bar to be in with a chance of winning!